We recently got an email from a Verizon Galaxy S3 owner, regarding a phone issue that is tied to the voicemail feature. Our email sender is talking about an error prompt he gets every time he attempts to use visual voicemail. The error message reads, "Visual Voicemail is Full' and that he cannot access visual voicemail. In case you too bumped into the same problem with your GS3 device, please read on to find the solution. This content aims at solving the 'Visual Voicemail is full' error on Samsung Galaxy S3. HINT: Problems with the GS3 visual voicemail that is inaccessible usually occurred when too much data is stored. Step 1. Begin by clearing the Visual Voicemail app data. Here is how to get it done. Tap Applications to manage applications. Tap Manage Applications to proceed. Look for the All Tab at the top of the screen and tap on it. Scroll to and tap the Visual Voicemail application. Tap Clear data to free the Visual Voicemail app from all stored data. View the Available Space under Phone Storage. Note: If you notice the internal storage is less than or equal to 25MB, then you have to free up internal storage space. Step 3. 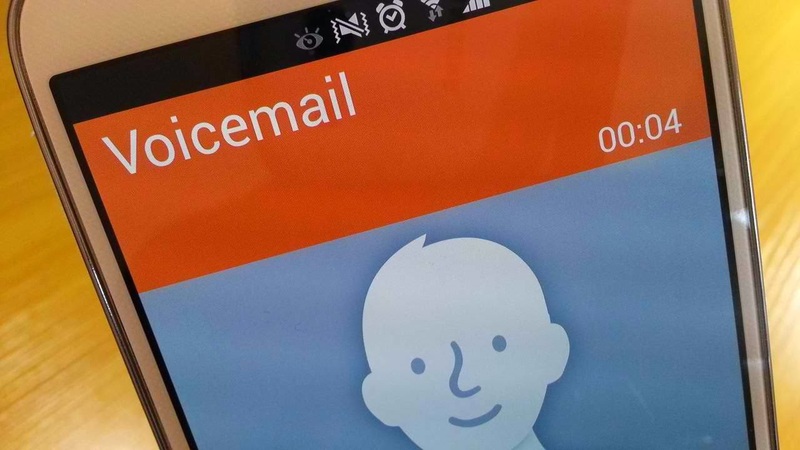 Test the Visual Voicemail app and see if you still get the same error prompt. If the issue persists, perform a hard or master reset. IMPORTANT NOTE: The term master reset or hard reset refers to an ultimate process of restoring the original factory settings on your device. This also means erasing all downloaded contents from your device, including ringtones, programs, contacts and images stored in the internal memory. All data stored on the SIM card or memory card will remain though. 1. To get started, create a backup of all data on the internal memory. 2. Tap Menu from the home screen. 3. Tap Settings to continue. 5. If preferred, tap Automatic Restore to clear the check box. 6. If preferred, tap Back Up My Data to clear the check box. 7. Tap Factory Data Reset. 9. You may need to enter your PIN or password if you have screen lock turned on. 11. Tap Delete all to clear up the device's internal memory. Create a backup of all data on the internal memory. Simultaneously press and hold the Volume Up, Home and Power buttons. Wait until the phone vibrates and release the Power button. Keep pressing and holding the Volume Up button and the Home button. Wait until the Android System Recovery screen shows up and release the Volume Up and Home buttons. Press Power button to select the option and begin the master reset. Wait until the master reset is completed and you should see 'Reboot system now' is highlighted. If you no longer want to use the Visual Voicemail application, then you can always have it removed. To uninstall visual voicemail, simply go to Settings->applications->manage applications-> and find VVM. Finally, tap Uninstall to initiate the uninstallation process.